Book Review: Island of the Sequined Love Nun by Christopher Moore – BOBBY JAMES. Island of the Sequined Love Nun | by Christopher Moore | 325 pgs. 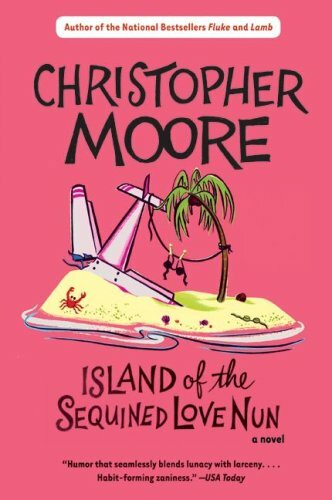 | rating: 4/5 A fan of Christopher Moore’s work, notably his stellar hit Lamb: The Gospel According to Biff, Christ’s Childhood Pal, I noticed his name on a pink paperback book with an intriguing title: Island of the Sequined Love Nun. I appreciate Moore’s style – and his short, yet increasingly informative chapters. When a shamed pilot, Tucker “Tuck” Case, is forced to flee the United States, he finds himself with a very lucrative opportunity – flying medical supplies for a doctor on the island of Alualu (in the Indonesian crescent – psst! Not a real island, don’t bother googling it). The result is a bizarre, yet hilariously preposterous story with a few endearing and redeeming characters. I love Tuck, but that wasn’t so initially. In fact, I found him pathetic in the early narrative. He was a handsome blonde pilot working for Mary Jean Cosmetics – and quite honestly, albeit painfully described, got what he had coming to him. Poor Tucker (not!). As the journey continued though, I found myself rooting for him. He’d hit bottom. Actually, he probably broke through wherever bottom was and hit the floor beneath that! Now, I really was saying “Poor Tucker.” Tuck’s transformation begins after meeting Kimi, an island “girl-man,” and Roberto (a fruit bat), on the island of Yap. Kimi’s broken English and surprising skill as a navigator propels the journey of Tucker Case (and his character evolution). Over time, I begin to love his character even more and cheer at his triumphant moments, no matter how big or small. A friendship blossoms and soon, Tucker and Kimi become entwined in a deadly game of cat and mouse with “The Sky Priestess” (Beth) and her husband Dr. Sebastian Curtis. 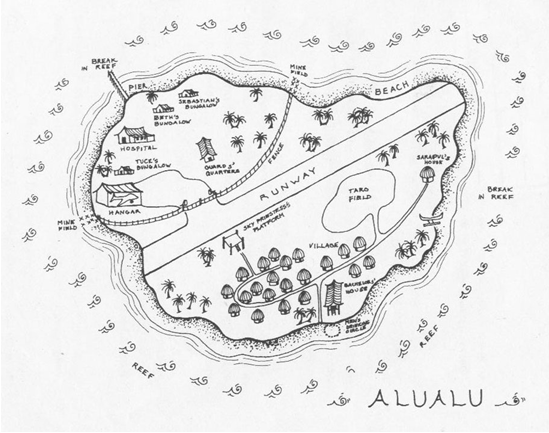 Their game is polluted with land mines and discovery on Alualu, which just so happens to be surrounded by sharks and inhabited by “The Shark People” that worship a deity named Vincent! I know you’re intrigued – so go, venture onto the Island of the Sequined Love Nun! Previous Post Coming Soon: Jurassic Pixar!